Halo 3000mAh Pocket Power Bank w/ LED Flashlight & USB / Wall Charger Only $6.99 Down From $24.99! Ships FREE! 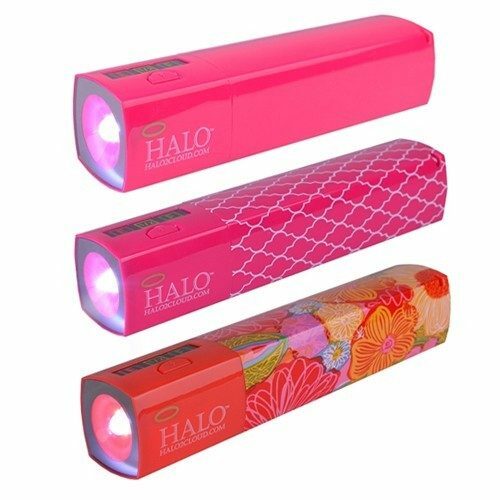 You are here: Home / Great Deals / Halo 3000mAh Pocket Power Bank w/ LED Flashlight & USB / Wall Charger Only $6.99 Down From $24.99! Ships FREE! GearXS has this Halo 3000mAh Pocket Power Bank w/ LED Flashlight & USB / Wall Charger on sale for $8.99 (Reg. $24.99) when you use promo code 3OFF + FREE shipping! The Halo StarLight 3000 provides power for your devices on the road, or in the comfort of your home. With enough power to keep your phone fully charged, and a built in flashlight, this device is sure to come in handy in a pinch. Simply use the included USB cable, or the cable supplied with your personal electronic device and begin charging. Never be caught with a dead device again.